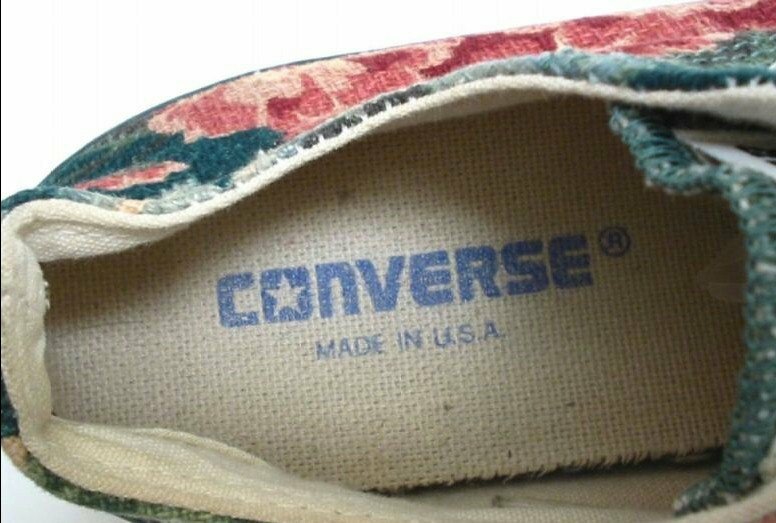 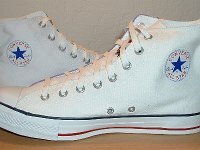 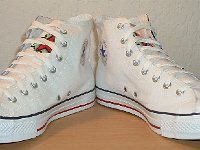 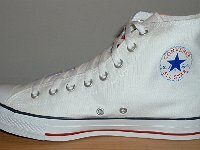 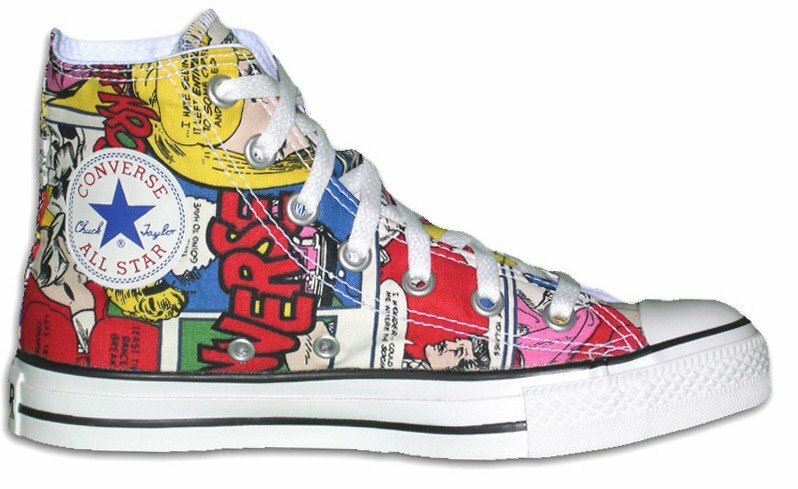 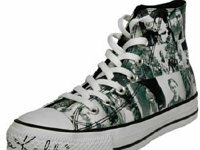 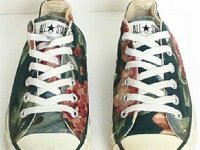 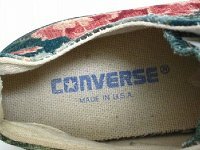 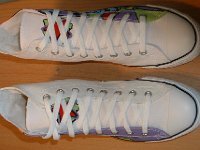 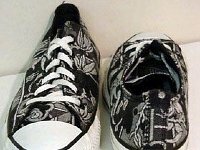 Photo gallery of chucks with custom print pattern uppers. 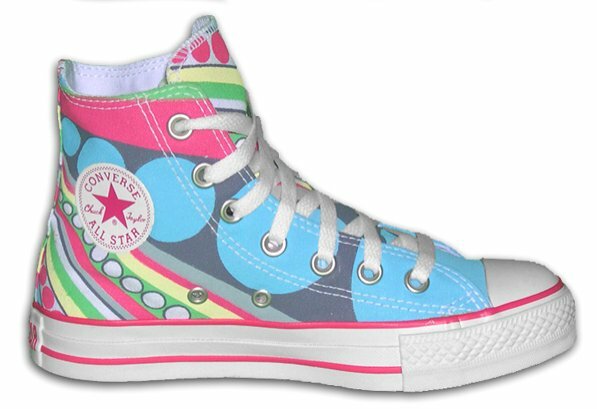 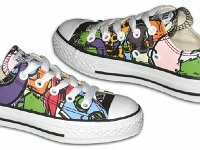 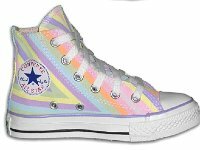 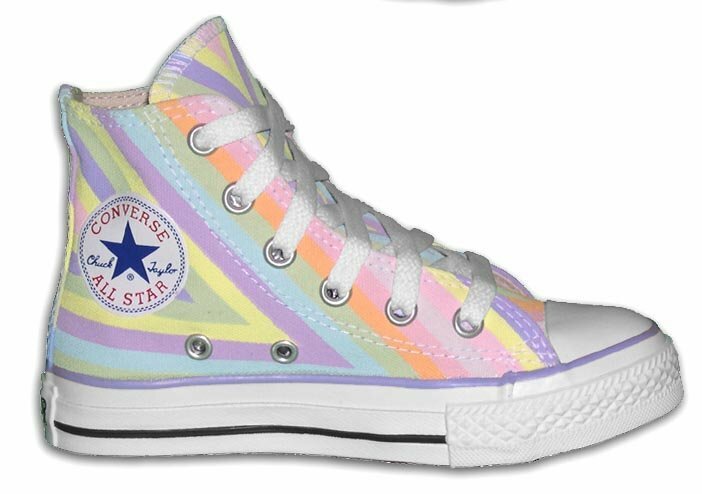 1 Chucks With Custom Print Pattern Uppers New alphabet pattern high tops, angled side views. 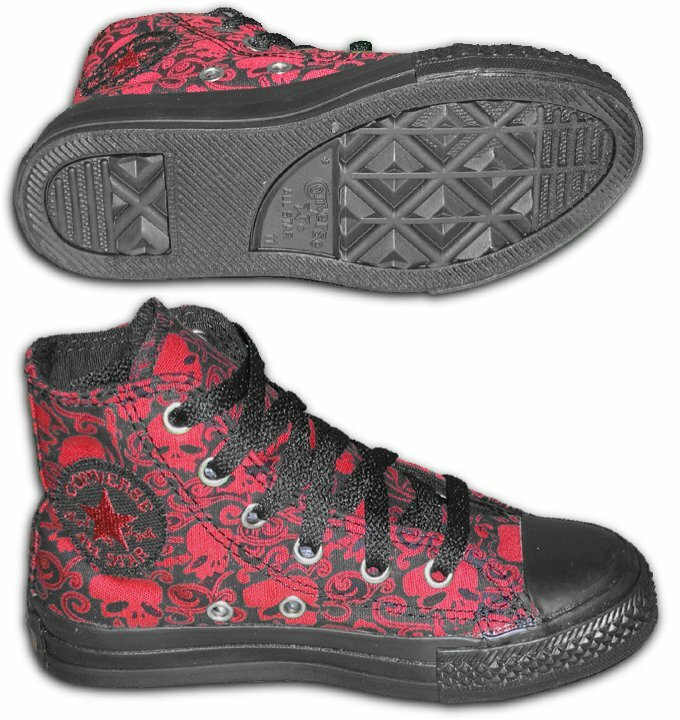 2 Chucks With Custom Print Pattern Uppers Inside patch and sole view of red and black skull print high tops. 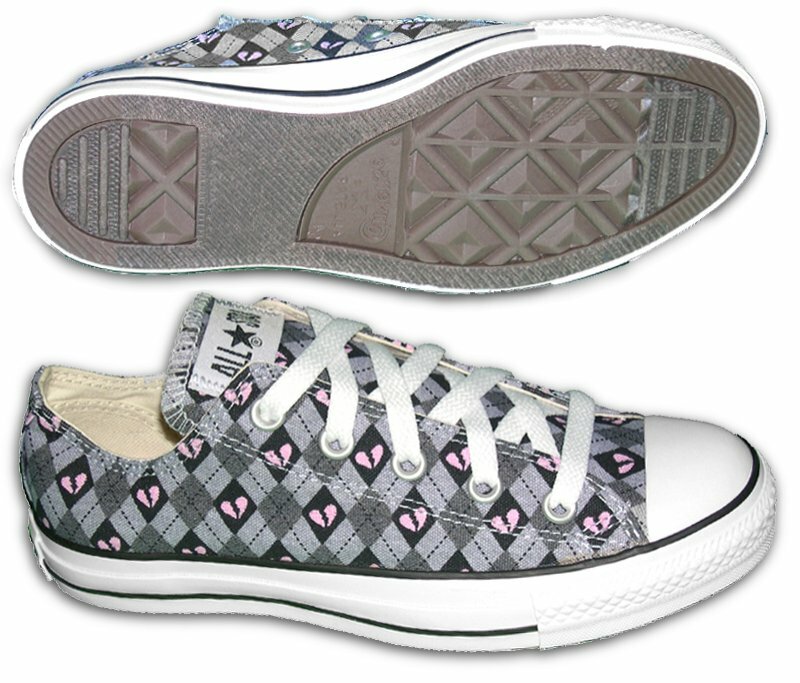 3 Chucks With Custom Print Pattern Uppers Side and sole views of broken hearts pattern low cuts. 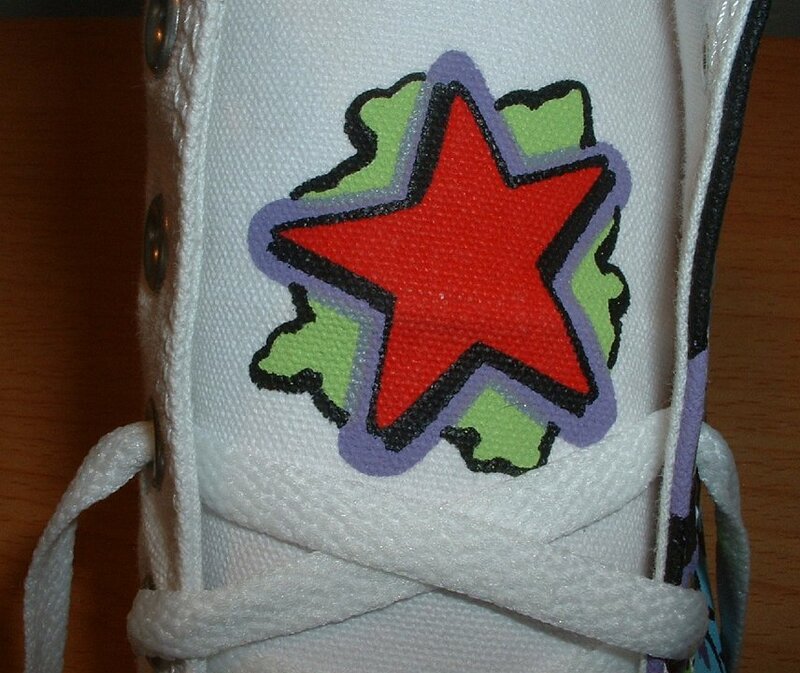 4 Chucks With Custom Print Pattern Uppers Inside patch view of a left comic print high top. 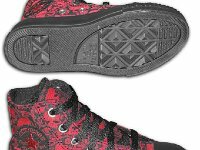 5 Chucks With Custom Print Pattern Uppers Side views of eternal flower print high tops. 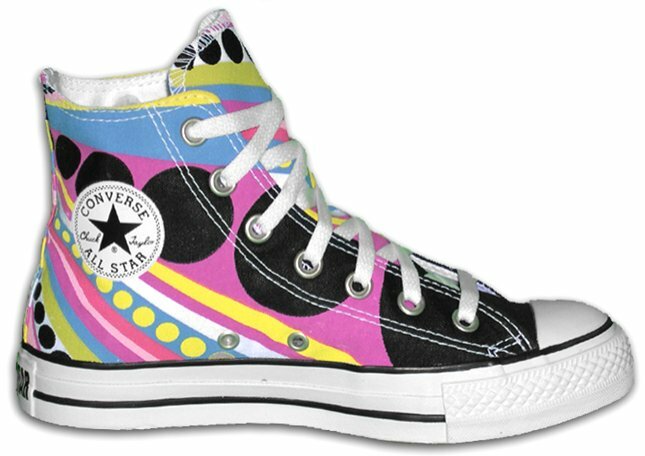 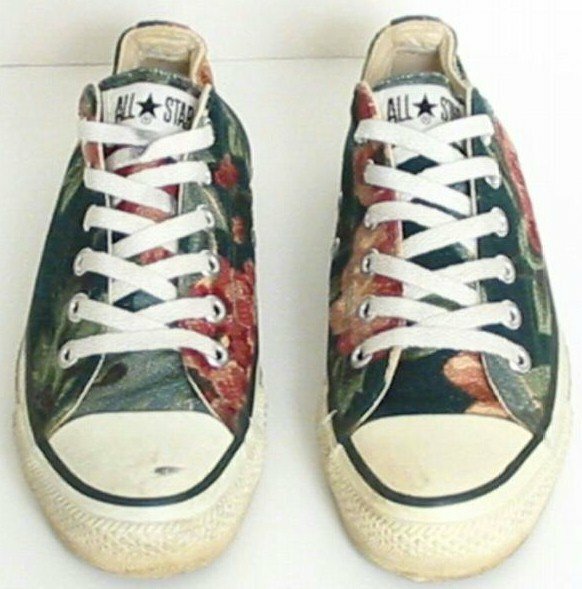 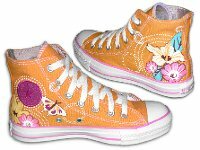 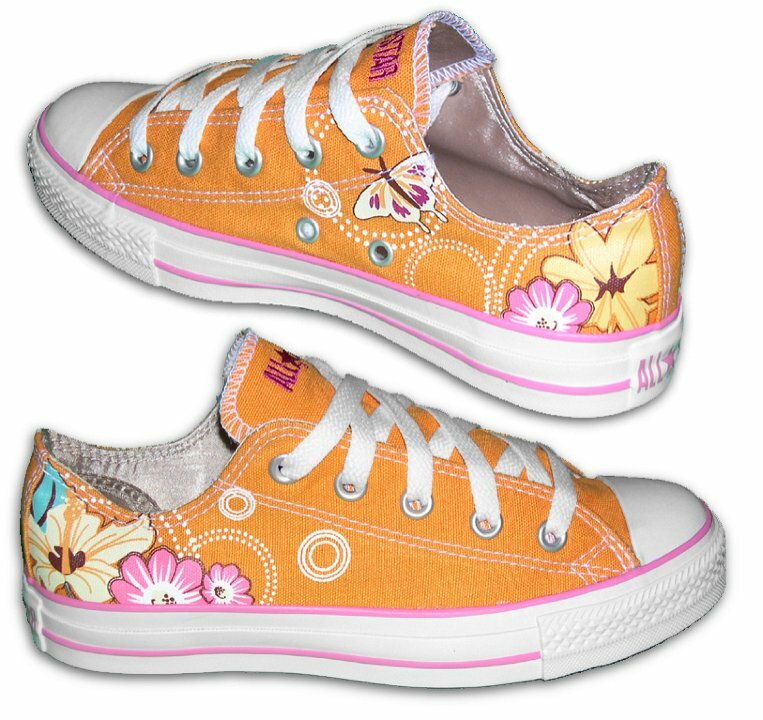 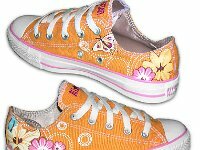 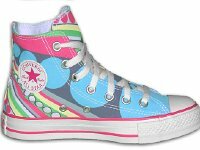 6 Chucks With Custom Print Pattern Uppers Side views of eternal flower print low cuts. 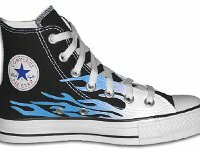 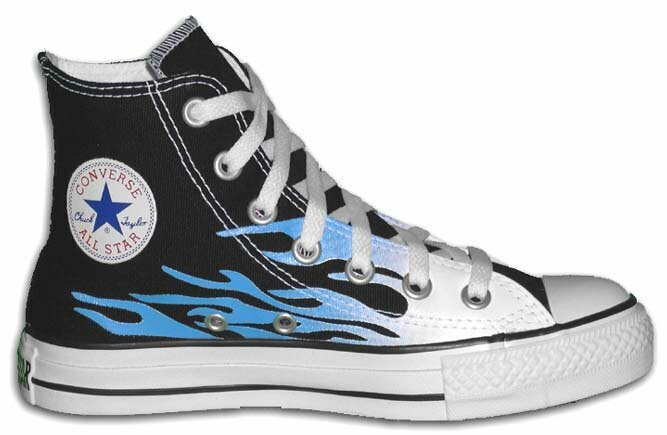 7 Chucks With Custom Print Pattern Uppers Inside patch view of a left black and blue flames high top. 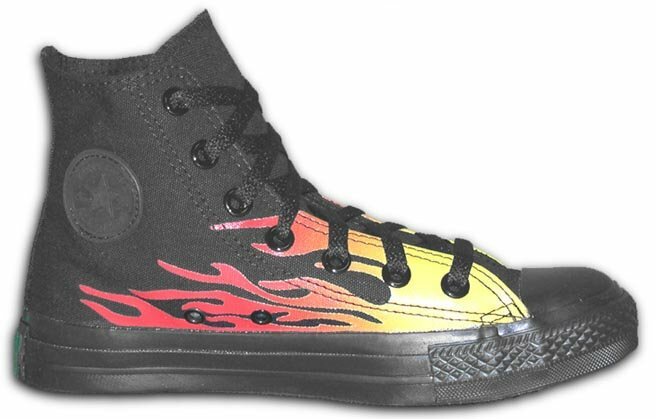 8 Chucks With Custom Print Pattern Uppers Black flame high top, left inside patch view. 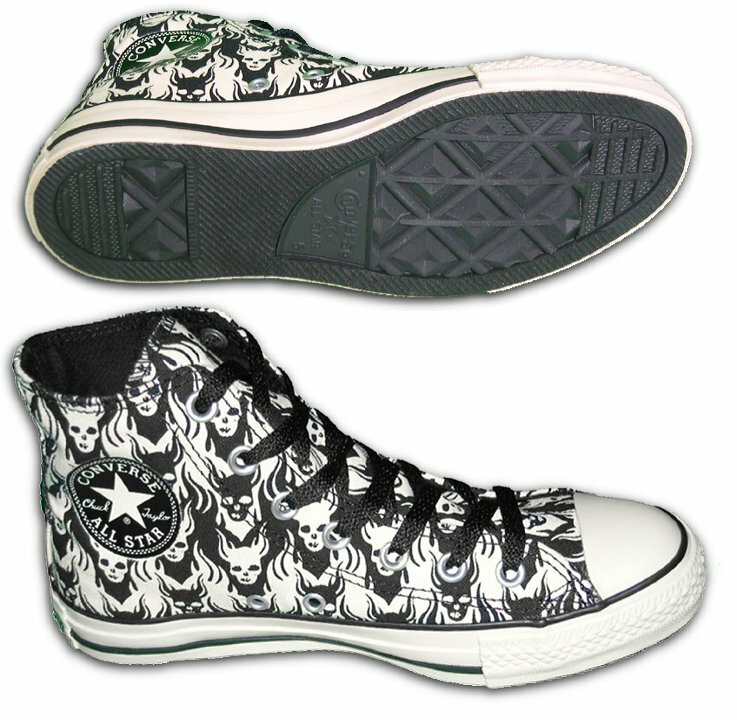 9 Chucks With Custom Print Pattern Uppers Black flame high tops, inside patch and top views. 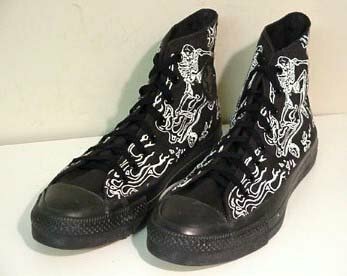 10 Chucks With Custom Print Pattern Uppers Inside patch view of a left monochrome black flames high top. 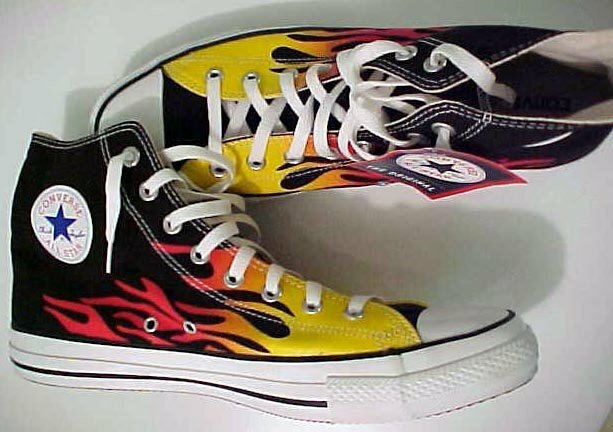 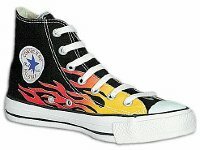 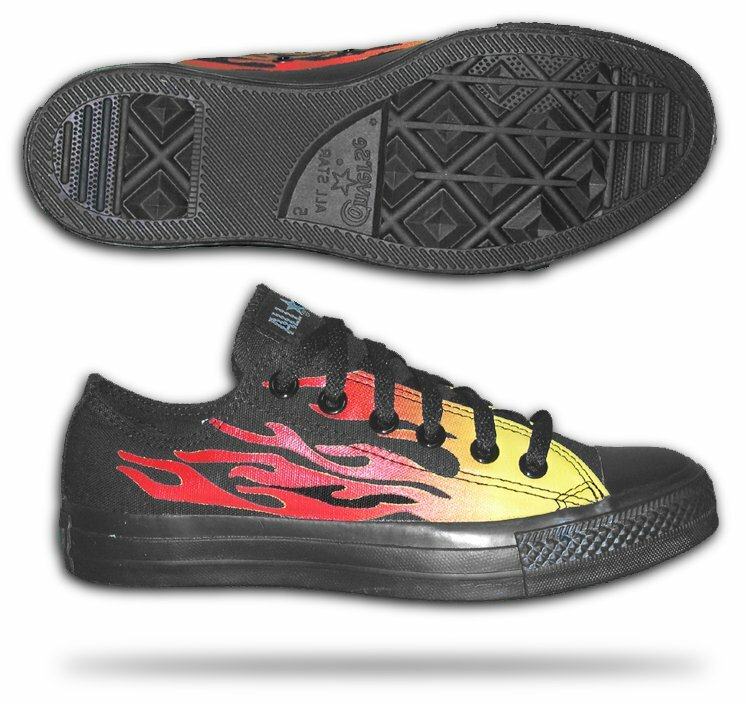 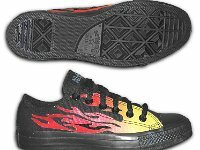 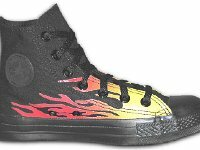 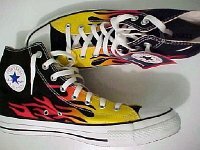 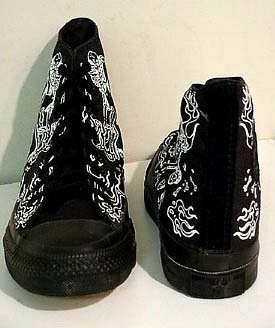 11 Chucks With Custom Print Pattern Uppers Side and sole views of monochrome black flames low cuts. 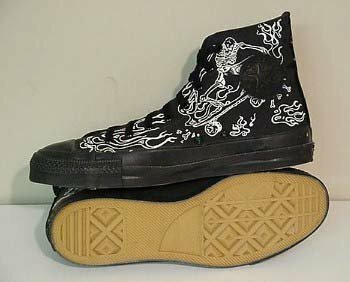 12 Chucks With Custom Print Pattern Uppers Inside patch and sole views of skull flames high tops. 13 Chucks With Custom Print Pattern Uppers Side view of a right floral print low cut. 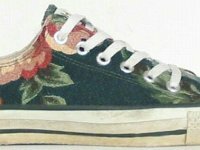 14 Chucks With Custom Print Pattern Uppers Side view of a left floral print low cut. 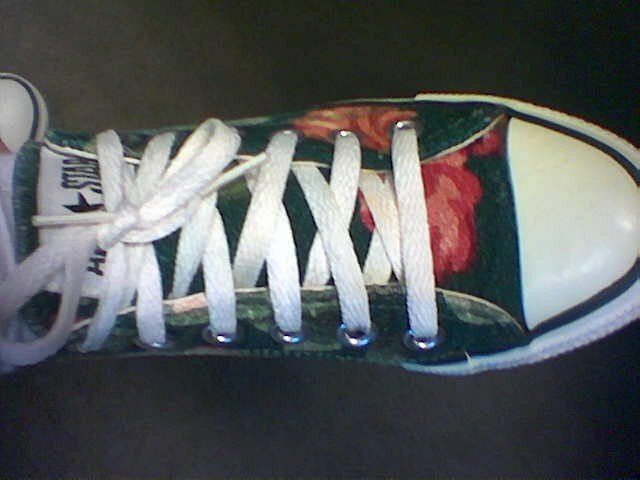 15 Chucks With Custom Print Pattern Uppers Top view of a left floral print low cut. 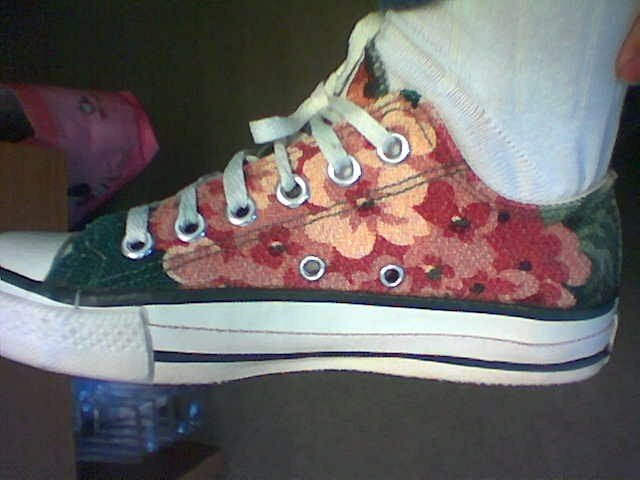 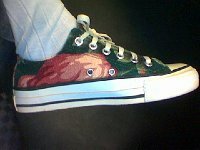 16 Chucks With Custom Print Pattern Uppers Side view of a right floral prinit low cut. 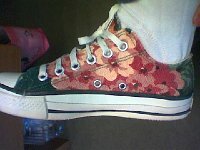 17 Chucks With Custom Print Pattern Uppers Top view of floral print low cuts. 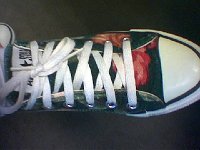 18 Chucks With Custom Print Pattern Uppers Rear view of floral print low cuts. 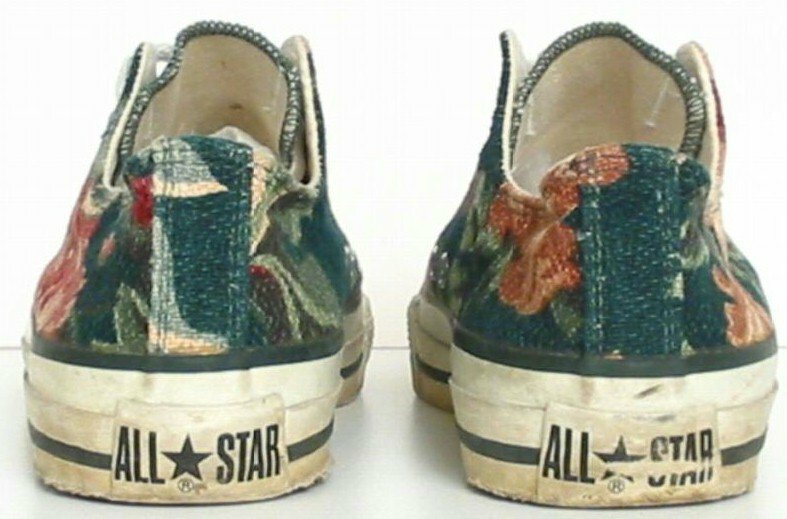 19 Chucks With Custom Print Pattern Uppers Insole view of a floral print low cut. 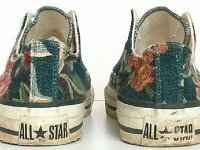 20 Chucks With Custom Print Pattern Uppers Side and sole view of stitched flower pattern low cuts. 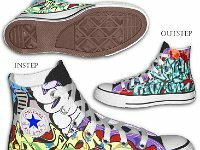 21 Chucks With Custom Print Pattern Uppers Inside patch view of a left funk flow high top. 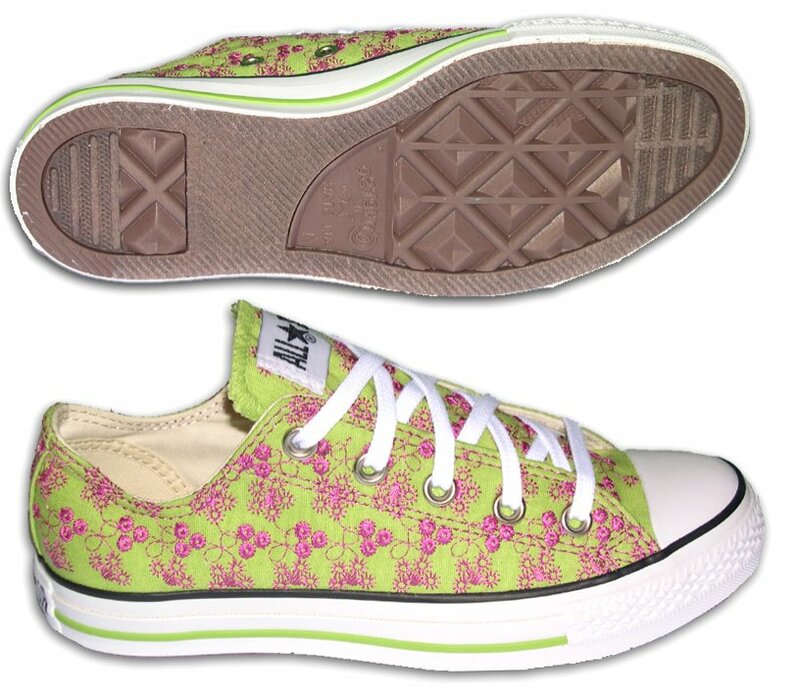 22 Chucks With Custom Print Pattern Uppers Inside patch view of a left pink funk flow high top. 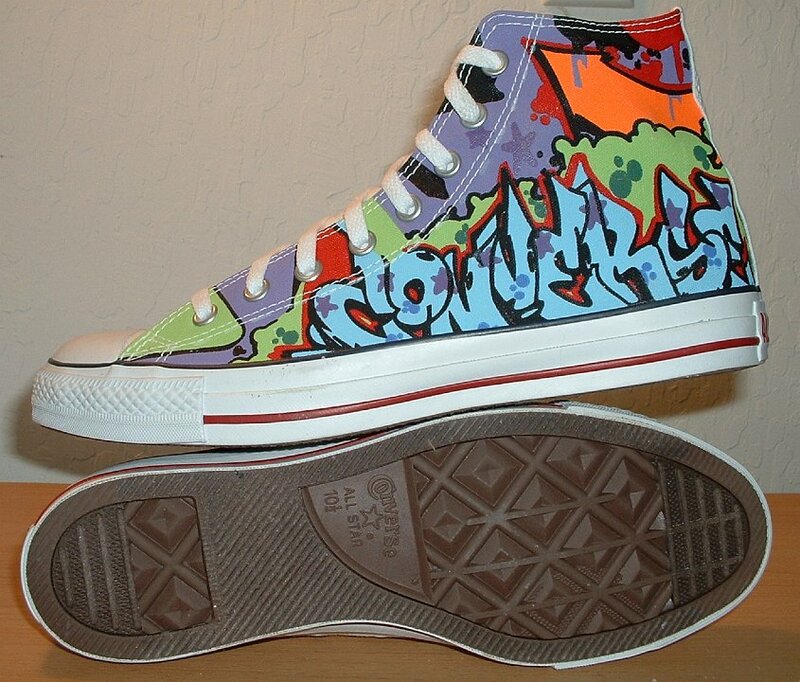 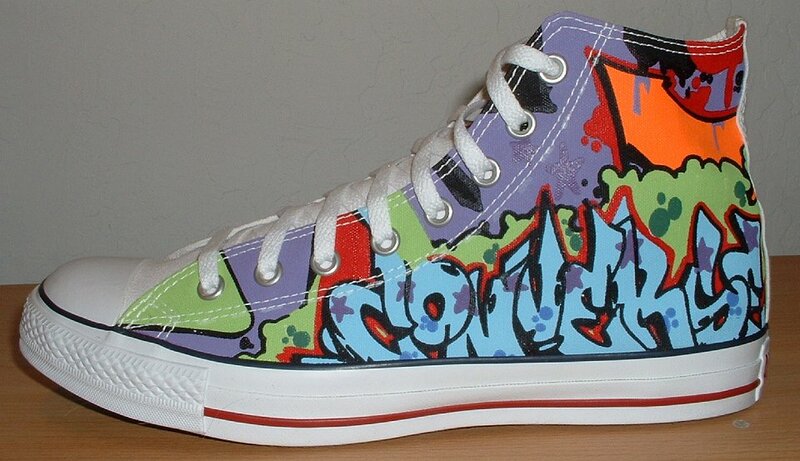 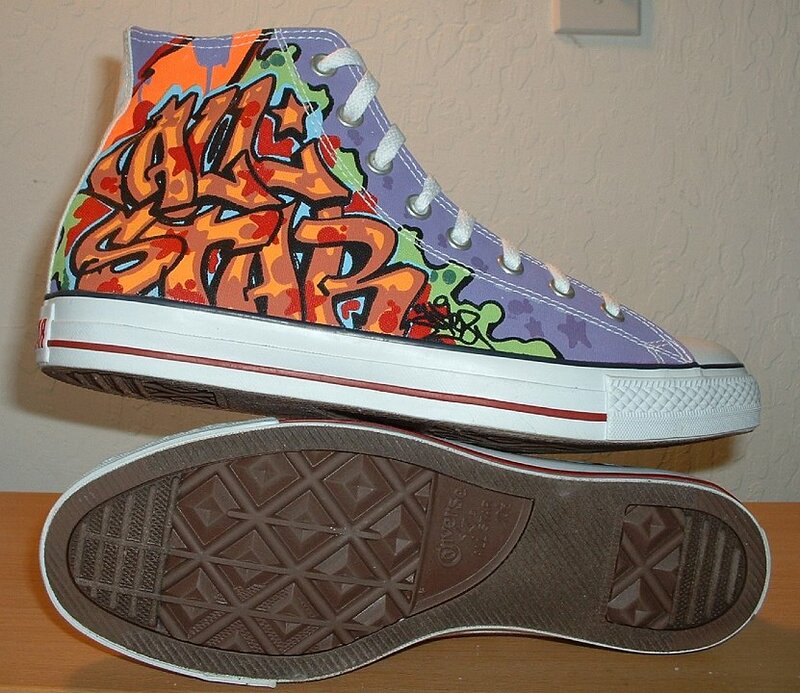 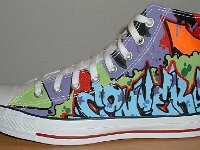 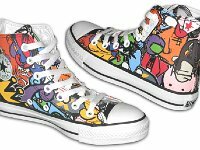 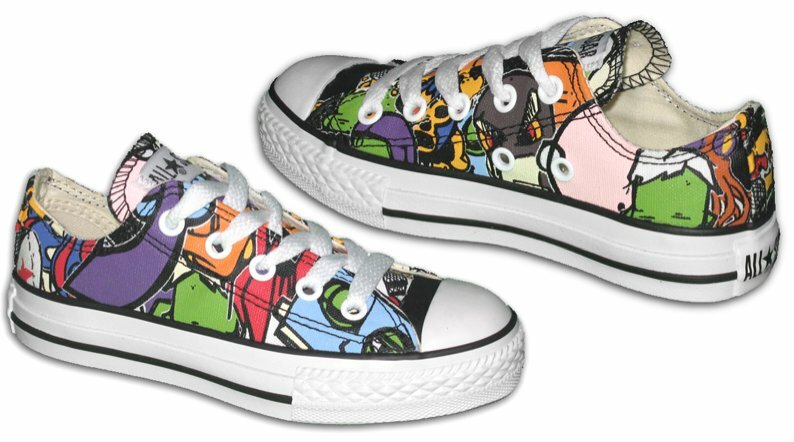 23 Chucks With Custom Print Pattern Uppers Side and sole views of black graffiti high tops. 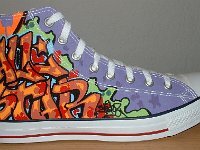 24 Chucks With Custom Print Pattern Uppers Outside view of a left white graffiti high top. 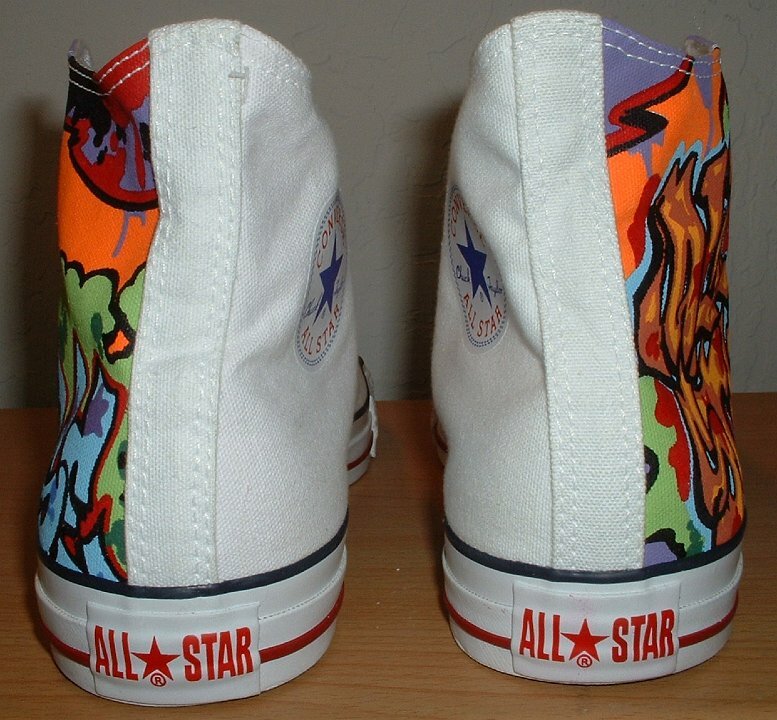 25 Chucks With Custom Print Pattern Uppers Inside patch view of a left white graffiti high top. 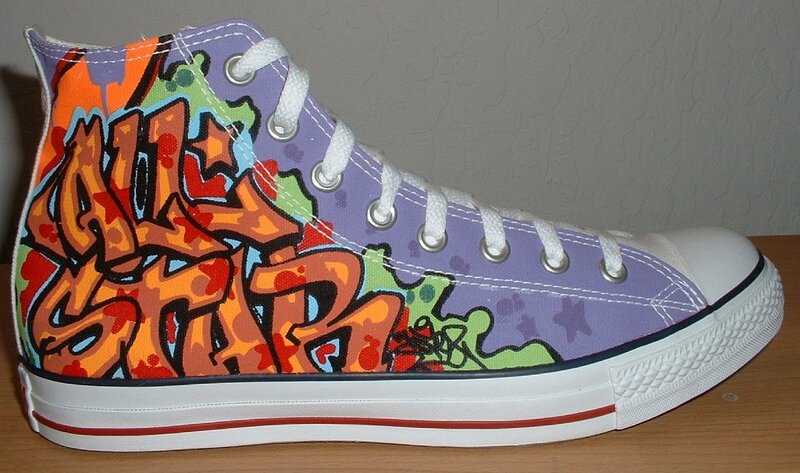 26 Chucks With Custom Print Pattern Uppers Outside view of a right white graffiti high top. 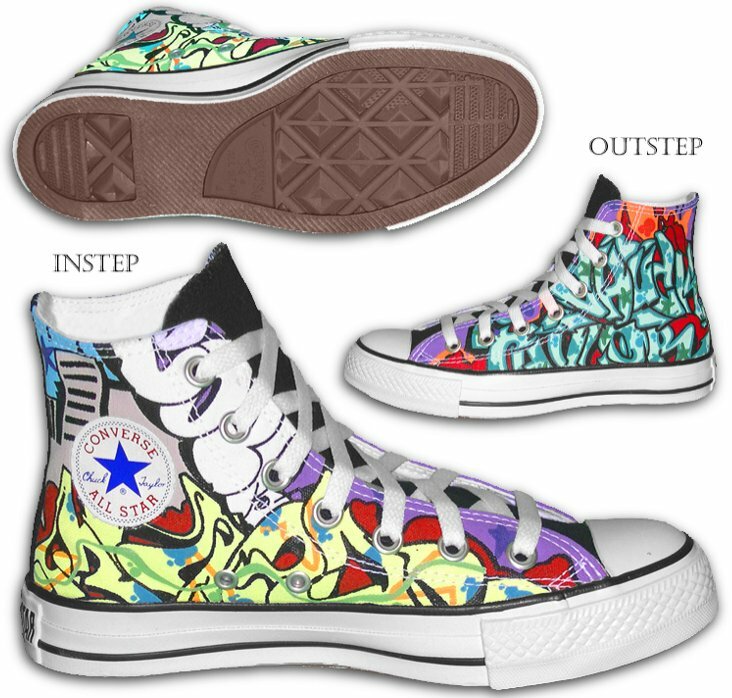 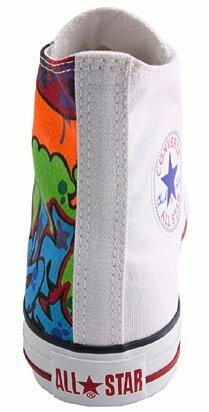 27 Chucks With Custom Print Pattern Uppers Inside patch view a right white graffiti high top. 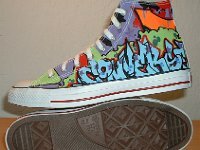 28 Chucks With Custom Print Pattern Uppers Front view of white graffiti high tops. 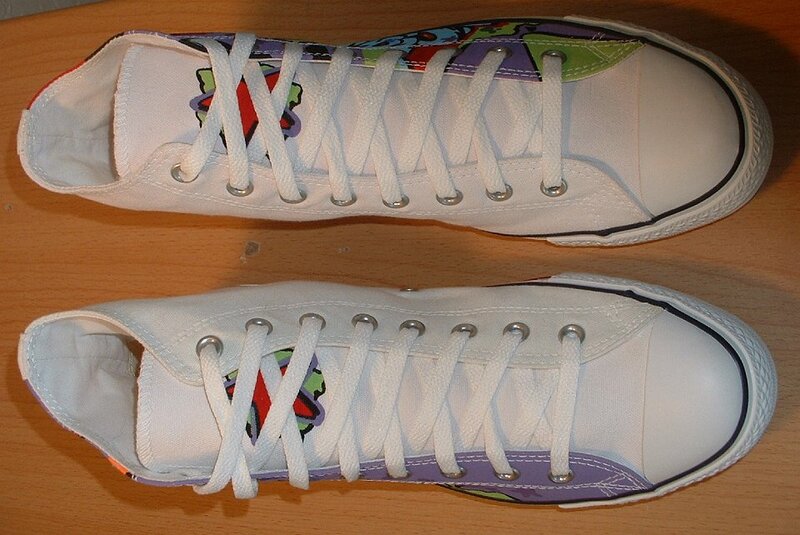 29 Chucks With Custom Print Pattern Uppers Rear view of white graffiti high tops. 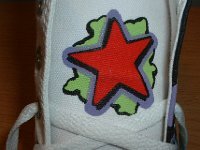 30 Chucks With Custom Print Pattern Uppers Closeup of the star graphic on the tongue of a white graffiti high top. 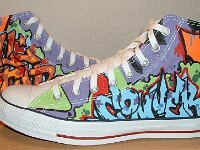 31 Chucks With Custom Print Pattern Uppers Top view of white graffiti high tops. 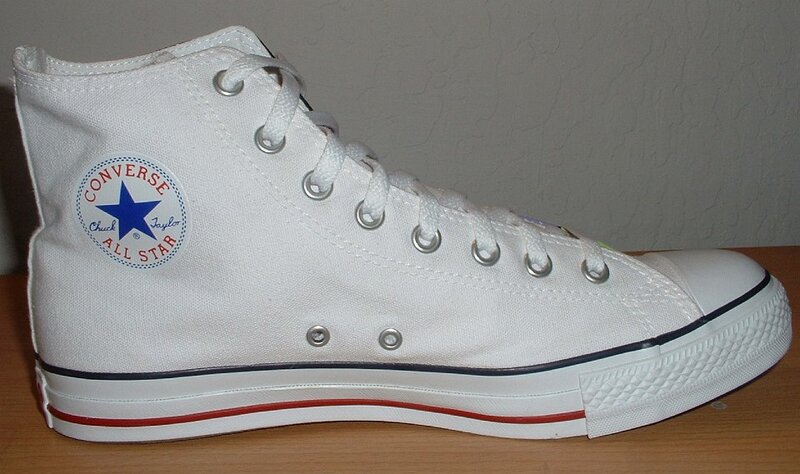 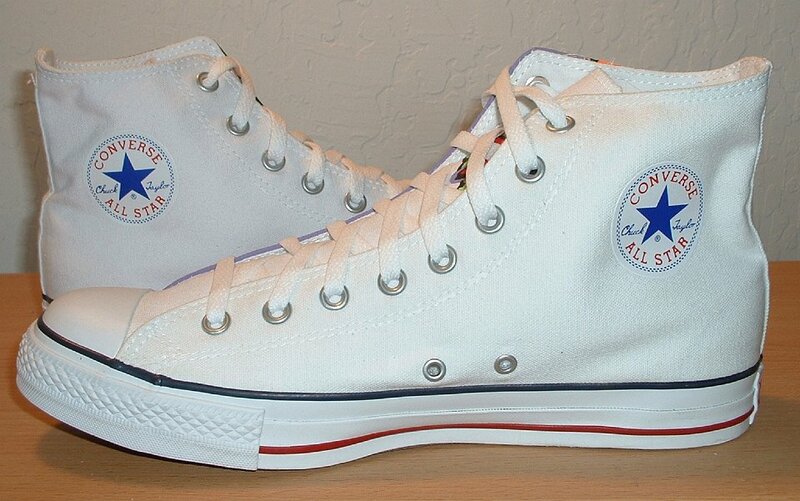 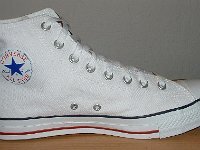 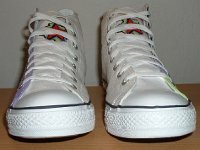 32 Chucks With Custom Print Pattern Uppers Sole and inside patch views of white graffiti high tops. 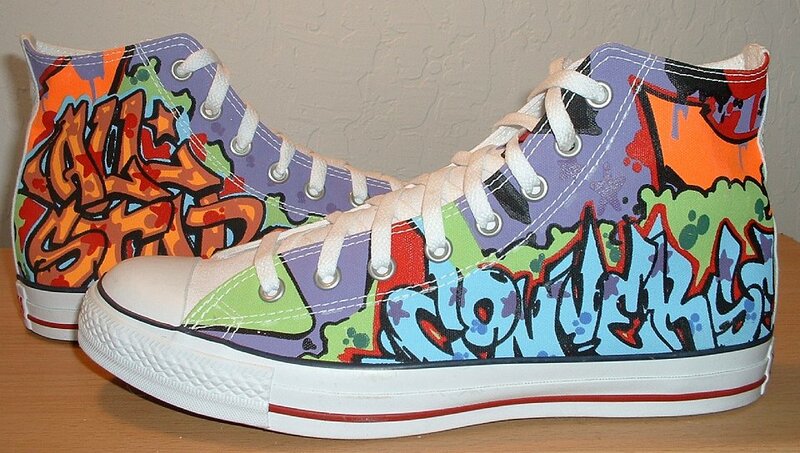 33 Chucks With Custom Print Pattern Uppers Outside and sole views of white graffiti high tops. 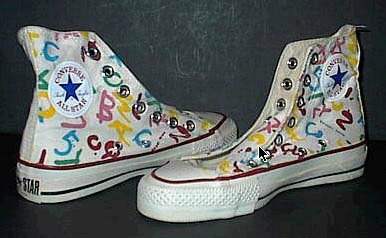 34 Chucks With Custom Print Pattern Uppers Outside views of white graffiti high tops. 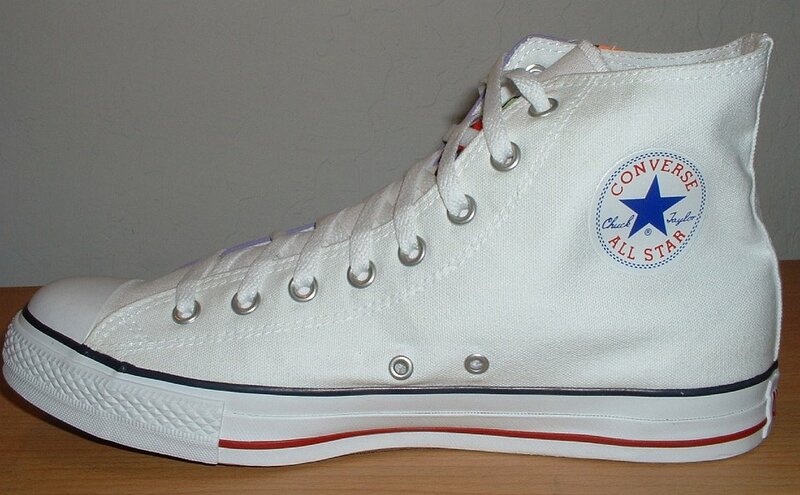 35 Chucks With Custom Print Pattern Uppers Inside patch views of white graffiti high tops. 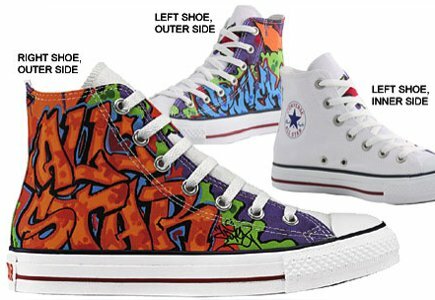 36 Chucks With Custom Print Pattern Uppers Angled front views of white graffiti high tops. 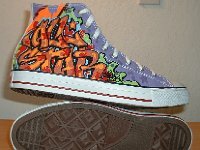 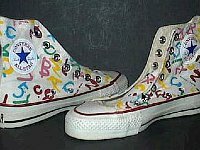 37 Chucks With Custom Print Pattern Uppers Catalog views of white graffiti high tops. 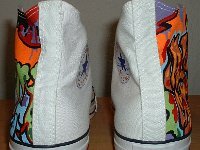 38 Chucks With Custom Print Pattern Uppers Rear view of a left white graffiti high top. 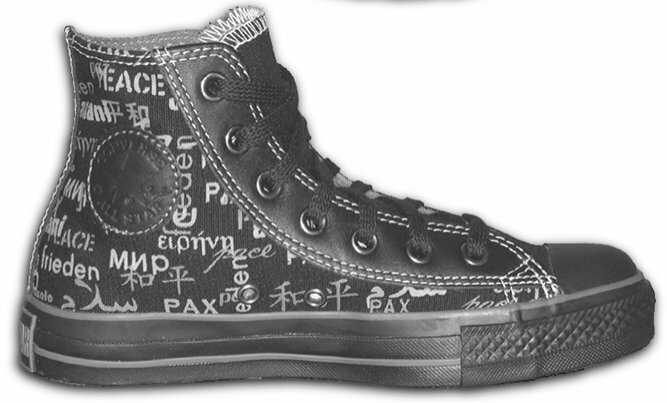 39 Chucks With Custom Print Pattern Uppers Inside patch view of a left John Lennon peace high top. 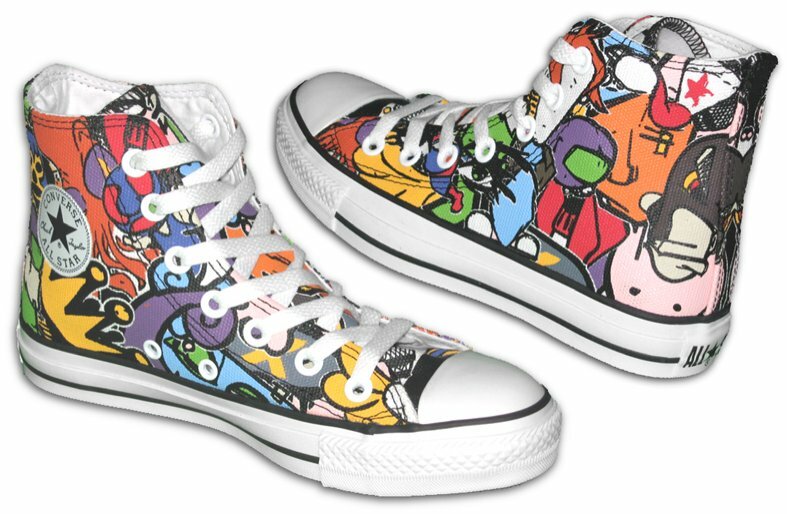 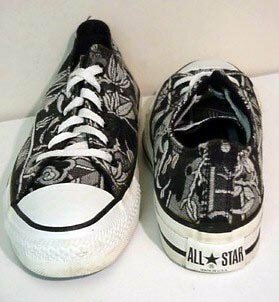 40 Chucks With Custom Print Pattern Uppers Side and sole views of John Lennon peace low cuts. 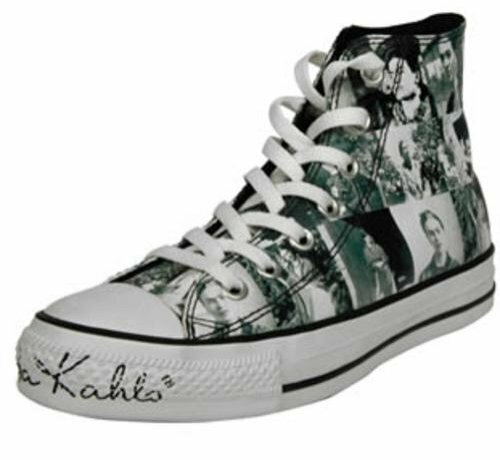 41 Chucks With Custom Print Pattern Uppers Angled side of a left Frida Kahlo print high top. 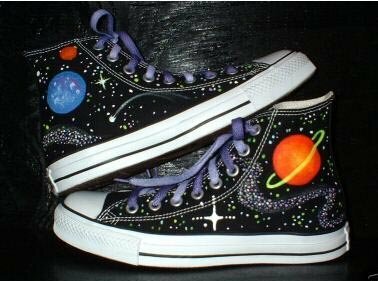 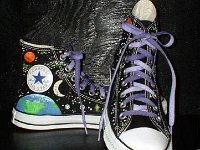 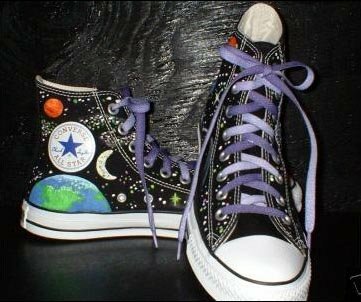 42 Chucks With Custom Print Pattern Uppers Inside patch views of outer space print high tops. 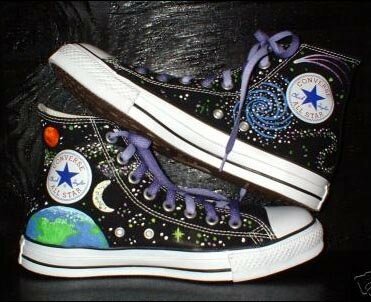 43 Chucks With Custom Print Pattern Uppers Outside views of outer space print high tops. 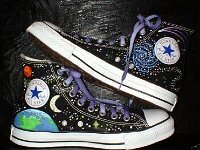 44 Chucks With Custom Print Pattern Uppers Top and side views of outer space print high tops. 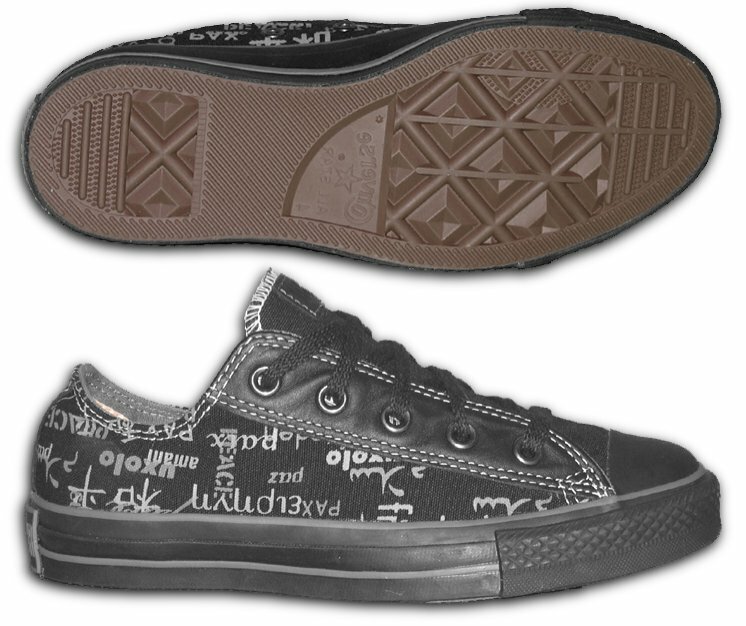 45 Chucks With Custom Print Pattern Uppers Black and white graphic pattern low cuts, angled top and side views. 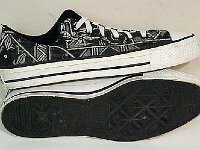 46 Chucks With Custom Print Pattern Uppers Black and white graphic pattern low cuts, front and rear views. 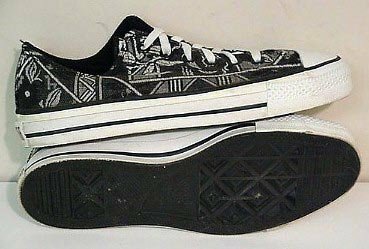 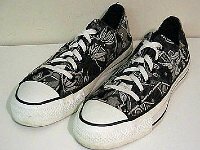 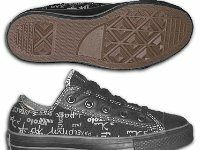 47 Chucks With Custom Print Pattern Uppers Black and white graphic pattern low cuts, side and sole views. 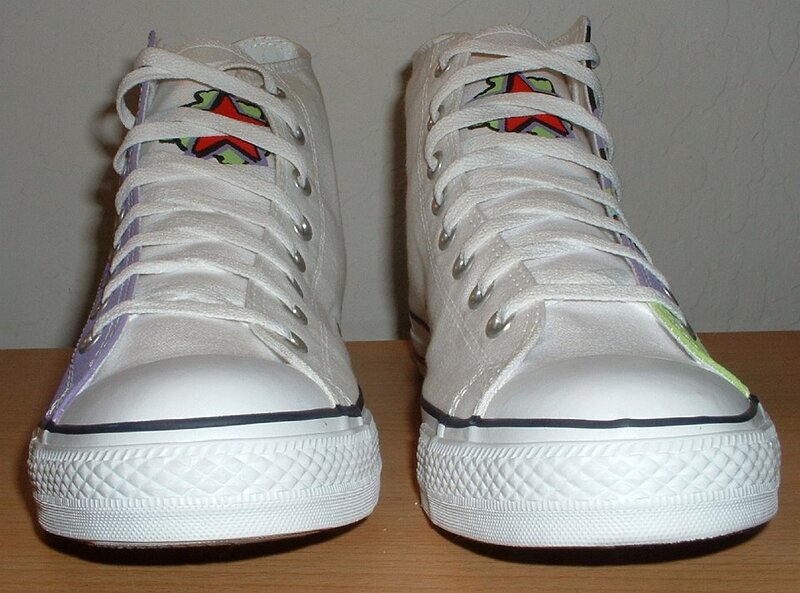 48 Chucks With Custom Print Pattern Uppers Inside patch view of a left prism pattern high top. 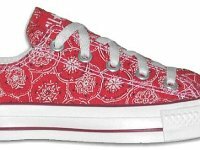 49 Chucks With Custom Print Pattern Uppers Side view of a red bandana low cut. 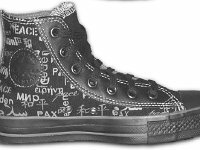 50 Chucks With Custom Print Pattern Uppers Skateboard print monochrome black high tops, angled front and side view. 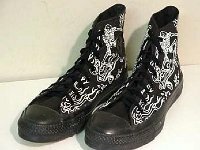 51 Chucks With Custom Print Pattern Uppers Skateboard print monochrome black high tops, front and rear views. 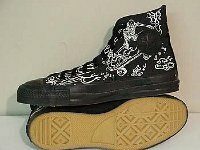 52 Chucks With Custom Print Pattern Uppers Skateboard print monochrome black high tops, inside patch and sole views. 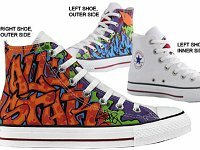 53 Chucks With Custom Print Pattern Uppers Angled side views of sticker print high tops. 54 Chucks With Custom Print Pattern Uppers Angled side view of sticker print low cuts. 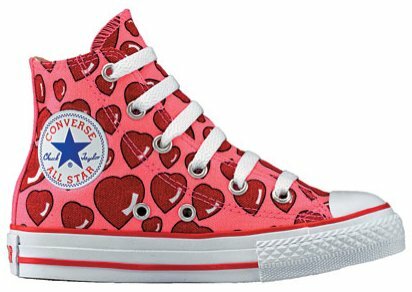 55 Chucks With Custom Print Pattern Uppers Valentine's Day print high tops, inside patch views. 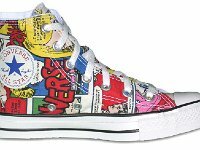 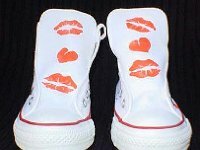 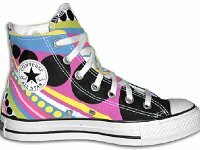 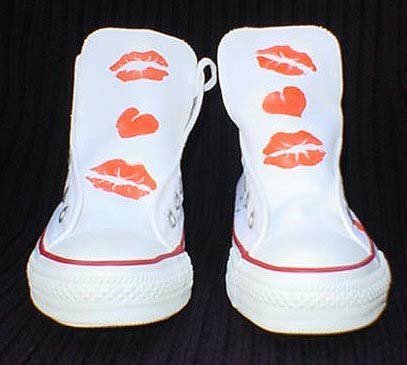 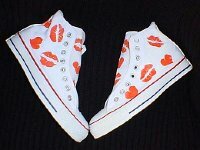 56 Chucks With Custom Print Pattern Uppers Valentine's Day print high tops, outside views. 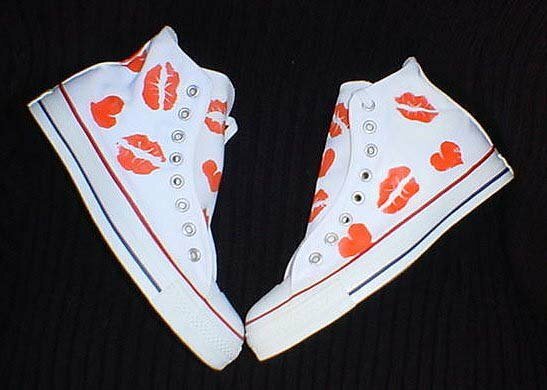 57 Chucks With Custom Print Pattern Uppers Valentine's Day print high tops, front view. 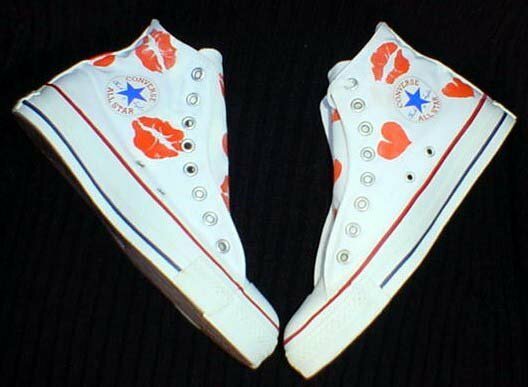 58 Chucks With Custom Print Pattern Uppers Inside patch view of a left valentine hearts high top.